The Series 10 update for the MyMinis app is done and went live today. The 16 figures in this series are the best in my opinion and really are special. The included touch guide is the real reason to get this app as it helps you find the figures by touch and visual cues by showing in detail the key parts. The Roman Commander and Medusa are very cool. I think they changed the box distribution since there are fewer of some figures then there used to be. Medusa, Bumblebee, and Trendsetter seem to be only 2 per box, while I think before there were usually at least three of ever figure. There are a lot more Baseball players, Motorcycle Mechanics, and Roman Commanders however I think. Here are some sample pics from the app! 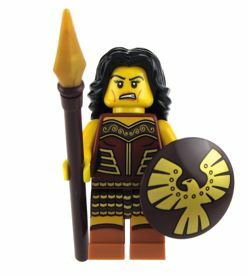 Now that we have Series 10 of the Lego Collectible Minifigures (LCM) released there are some outlying figures that one might think should be included as additional figures in this collection. 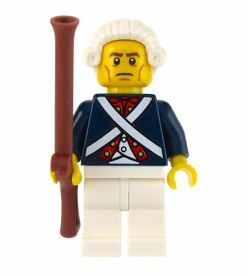 Namely, the new Lego book has an included Toy Soldier figure with it, which it welcomes as part of the LCM collection. Last summer the Team of Great Britain figures were released in a similar form factor, as they came in unmarked bags with an identical display case. Finally, we also have the super rare Mr. Gold figure who can be found inside one of the gold bags with the most recent Series 10. For these reasons it might seem reasonable to include the above figures in the LCM line. In other words, your collection would not be considered 'complete' unless you have all of these. I think a lot of folks are going bonkers over this issue. I get emails and app comments asking folks to please include the Team GB figures, and I expect others will want to see Mr. Gold and Toy Soldier as well in the MyMinis app. A 'complete' collection however is not something set in stone and is definately open to interpretation. For instance, if you can cast doubt on something, then it is not certain. For each of the above figures, there is a reason to cast doubt, and therefore one might not consider it be included in the LCM collection. The LCM collection is limited to only 16 figs at low price points, and the tone of the collection has humor and is care-free and friendly. It doesn't take it self seriously and one should have fun collecting these. This is a great introduction to collecting in general. 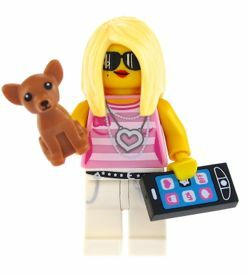 The LCM line is for kids of all ages to be able to collect minifigures, and to introduce them to a fun hobby that is challenging but not complex, or unfair, or unpractical or unaffordable. The Team GB figures were not released in the United States at all. Thus, someone could not get them easily there. It would be unfair or unpractical to ask someone therefore to buy them on Ebay from an overseas source, or second hand seller. 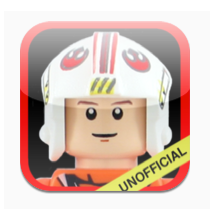 This defeats the purpose of making an easily collectible line of minifigures. Also, at least one authoritative source decided not to include them in the LCM book that came out in May of 2013. The Toy Soldier comes with an official LCM book, however he is clearly not a part of any series since he is not in a bag, is missing a stand, does not come in LCM blind packaging, and is the only one in that category of outliers. He is more a reason to buy a book and a novelty item than a definate inclusion in the line of LCM figures. If there was a numbered series of LCM oriented books released with figures like him he could be considered, but being the only one it is more prudent to have him sit on the sidelines for now. If he were included than wouldn't some other Lego promo figures also be open to being included too? 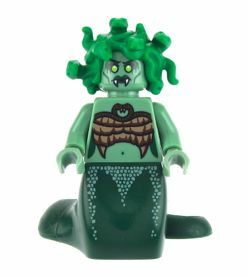 For instance, the Lego Monster Fighters Accessory set which includes the LCM witch but also a non LCM Ghost. Mr. Gold is a marketing strategy first, a successful one it seems, to get people talking about Series 10. Lego did not include Mr. Gold in the list of 16 on every pamphlet that comes with Series 10, but put him on the reverse side as a 'chase' item, an optional reward. You should thus take this to mean that he is something you although you might want or desire, you clearly do not need, similar to many things in life. Lego is teaching us a valuable life lesson here I think. He is in Series 10 packaging only because he has to be, otherwise he would be too easy to find, so that is not a reason to make him a Series 10 figure. Do you really think Lego would want a kid to keep asking is parent to keep buying him figures in order to get Mr. Gold. That would turn every parent off Lego forever! I think even kids are smart enough to release he is a special figure and you are just lucky if you get him. It is like a Wonka bar. You save up and buy one and hope to get lucky. If you don't move on. Please do not waste $600 on a piece of plastic on Ebay either! You will regret it the moment you click BUY. The fun in Mr. Gold is in talking about him and feeling lucky if you do find him, but do not feel like you have to have him to make your collection complete. So is the price on Ebay for $700 or more a fair price? If you need to look through 300 or so figs to have break even chances, we can use that as a price point. Each figure is $3 so a box is $180. You need five unopened boxes to get 300 figures to have a break even chance. Five times $180 is $900, which is also about the average price they are selling for on Ebay, interesting! Thus those Ebay prices are sort of reasonable, but only if they also throw in 299 other figures! Anyway, the point of this article is to show that you don't need Mr. Gold, the Team GB figures, or the Toy Soldier to consider a Series 1-10 LCM collection complete. Thus the MyMinis app only has the 160 figures in it just from the set of 16 for each Series 1-10.